Rumor has it that when South Korean director Bong Joon Ho decided to adapt the graphic novel La Transperceneige, what attracted him most wasn't the potential for action or the text's overarching social commentary, but the setting. Snowpiercer takes place entirely on a transcontinental train. From car to car, tail to engine, we find society represented in miniature; the remaining population of a now frozen Earth bound to an extreme class structure. They circle the globe once a year, never disembarking. At the head, the engine's godlike creator shrouds himself in mystery. He's built an arc, and on it collected a traveling show of civilization's political nightmares. In his wake, each car plays a role in an intricate, life-supporting system. The wealthy ride towards the front with their clubs, spas, and gardens. The unlucky bring up the rear, packed like sardines into a rolling tenement. Here they feed on gelatinous protein bars, bound together by circumstance as they're mercilessly controlled, counted, and picked off without reason. Many of them have missing limbs, some have been separated from their children, all are caked in dirt and on the verge of revolution. The improbability of the self-sustaining engine is part of Snowpiercer's beauty, and one Bong Joon Ho clearly understands as a type of character; a true mechanical god for the characters on board. The fact of the train, of the constant forward momentum, the things it contains, the spaces it opens up and decisions it necessitates, are what makes the film a truly special work of dystopian science fiction. Rules matter more than they might in open spaces. Continuity matters, progress matters, and world-building becomes inseparable from the story. This is Bong Joon Ho's first English-language effort, but as with his last piece of sci-fi, The Host, the political satire lands as something universal. He wields a tremendous amount of control over the film beyond its slick mechanics, and after a brief prologue and some necessary scene setting, the audience is rocketed along on a wild, careening ride. 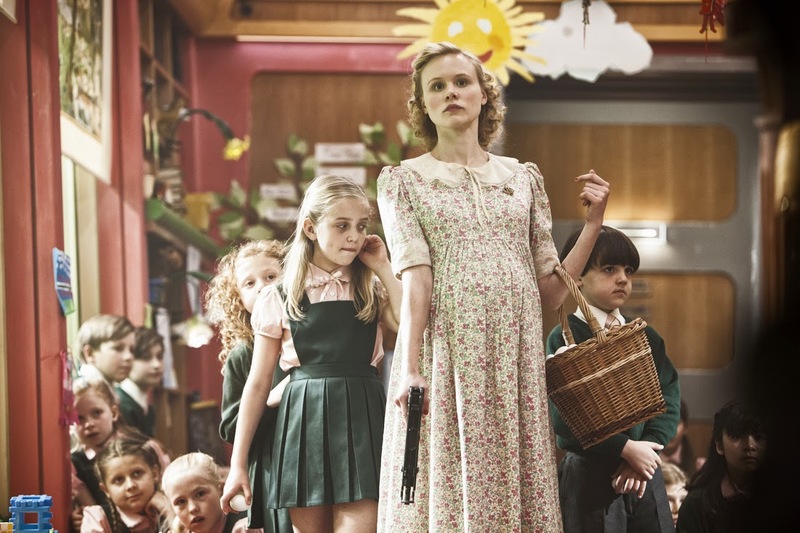 Beautiful, placid moments are uncovered between bits of grotesque hilarity or violence, and the more we learn about the shape of society and of our heroes, the more opportunities are opened for layered horror. The only thing that comes close to it tonally is Brazil (and the gesture towards it is present), and most of this is channeled through Tilda Swinton's manically sadistic enforcer Minister Mason and her protruding gold tooth. She's a representative of the system while at once proving its absurdity, a sort of ultra-demented, normcore Effie Trinket. Since there's no way to provide enough praise for Swinton's performance here, though, it's best to move on. So, Snowpiercer has Brazil in its blood, and as the contrivances of its opening minutes give way, the shape of what the film morphs. Injustice reads clearly in Snowpiercer, and the film has a way with cutting to the core of humanitarian tragedy in a way more startling than an war crime bit of realism. While we're provided with that gut-punching read of what's right and wrong, though, the ethics of the train are as gray as the cinematography. There's certainty in what's uncertain on the train. Though the rebels of the rear section don't know precisely what they're facing behind each door or over each hurdle, they know that they'll be fought and they know that their lives have no value. They also know that whoever controls the engine has controls the train, and if the train is their world: that's quite a conquest. So, they push forward under the tutelage of their aging leader Gilliam (John Hurt), and with Curtis (Chris Evans) as their weary, battle-hardened brawn. Though Curtis may read as yet another in a long line of stiff-lipped male action heroes, there's something about his cliche look that lends itself to a type of undermining at the same time as it provides the audience with a familiar focal point. He's our cipher. The "guy" we expect to see heading up an action movie and saving the world. This time, though, it's unclear what world there is to be saved. Curtis is a site of uncertainty in what should be certain on the train, and we watch as the role of "hero" appears to be slowly fractured across bodies and unlikely vessels. 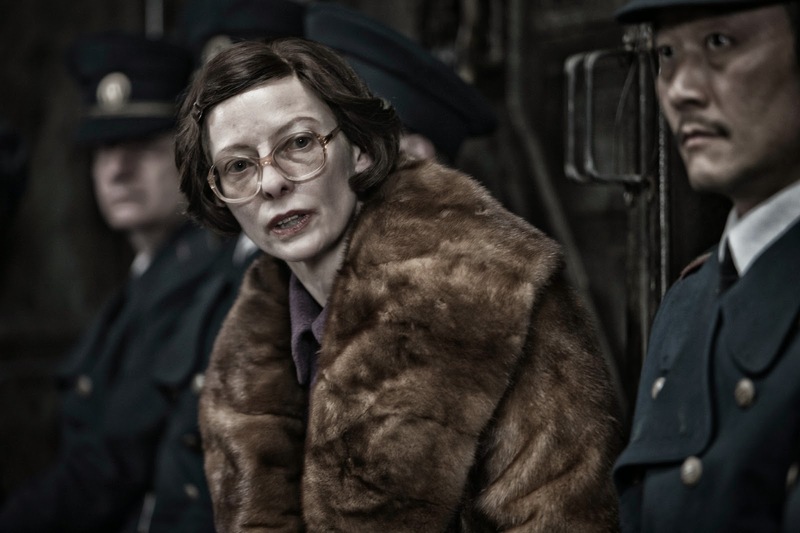 There's a sense of the democratic in Snowpiercer's handling of characters. Bodies split and roles shift in the way that object values do. With life confined to the train, we see a constant discussion of what does and does not continue to exist in life or name. Bullets and cigarettes, for example, may or may not be extinct. Tremendous cache is given to things unseen for long periods of time, and as we come to understand the sway of the economics of the train, the way levels of control are imposed, we come to see the characters as existing at their own levels of individual compliance. When Kang-ho Song takes the screen with the last of the cigarettes, the characters around him breathe in deeply as though they'd all once been in need of a nicotine fix. The smell of the smoke is a kind of nostalgia, a reminder of past stupid trifles and self-destructive luxuries. This registers on screen. It's a sad moment, but a funny one too. In a cigarette, we feel a sense of communal loss, and as we push forward car after car, the real losses read all the more strongly. 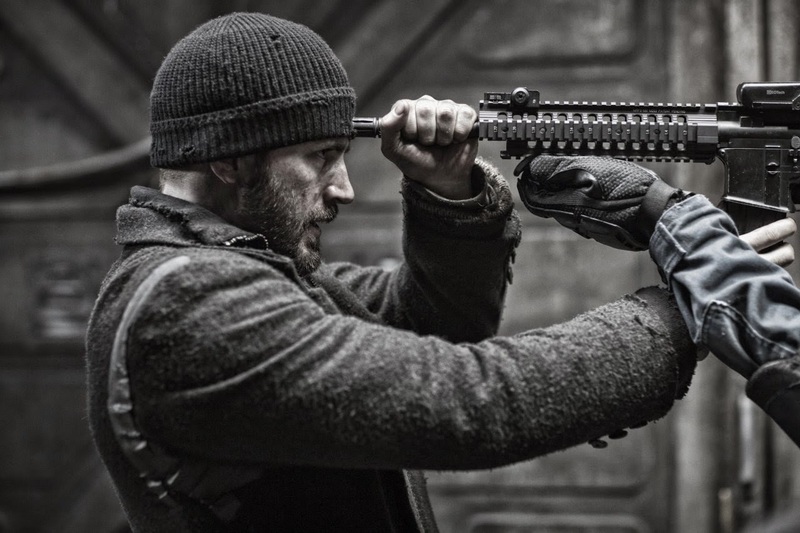 While the final act of Snowpiercer isn't perfect, what it attempts is something staggering. The fight isn't clear, the outcome isn't clear, the best case scenario isn't the best case, and we find ourselves face to face with the ways we're writing our own downfall. Humanity is to blame for everything in Snowpiercer, and though in a sense the film is a tragedy its triumphs make it something truly special. This is what summer movies should be. This is what a blockbuster should look like. This is what happens when you have faith in your audience's ability to think. If you can see it in a theater: do it. Movies like this aren't made for streaming. Yes on all counts. This is what a blockbuster should be; it has the scale and excitement of a large action film without feeling generic. That's pretty rare these days.